Inspirational women are great role models and I particularly like the ones featured in CNN Leading women series. Below is a Video and script of an interview with Ertharin Cousin, from the United Nations World Food Program, which feeds a staggering 90 million people a year. 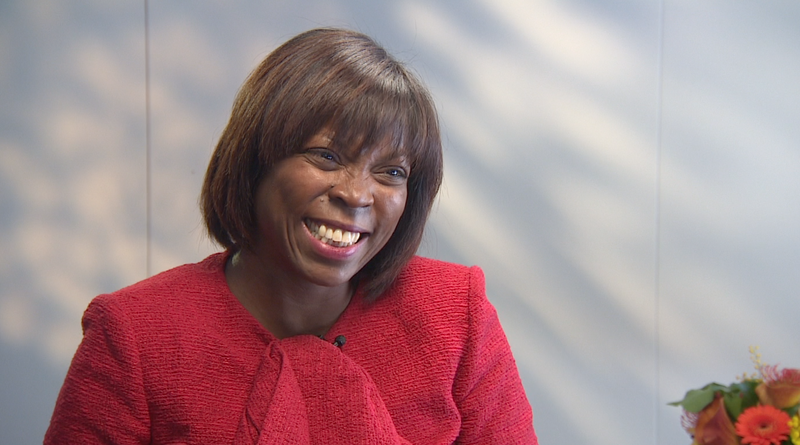 ERTHARIN COUSIN, WORLD FOOD PROGRAM: The fact that I know that I’m in a position to make a difference in the lives of so many people gets me up out of bed every single morning. POPPY HARLOW, CNN CORRESPONDENT: Ertharin Cousin is a woman in near constant motion. She sits at the helm of the United Nations World Food Program, which feeds a staggering 90 million people a year. Cousin’s role often puts her at the center of crisis zones. Like this Syrian refugee camp in Jordan. COUSIN: So many children die from hunger. When you walk out of a supermarket in the UK and see what we have and then go visit a mother who is feeding her child water lilies. COUSIN: The mission is to end hunger in our lifetime. People say, oh, Ertharin, that’s nice, but I mean it. HARLOW: Is this your most important role to date? COUSIN: Without a doubt. That’s an easy answer. HARLOW: Spend time with her and you’ll see she doesn’t let anything hold her back. When you were in law school, you were told to get a career and to be successful, you needed to pretend to be like a man. COUSIN: Yes, I was. Simple as that. COUSIN: I sure did. I went in for a job interview. I wore a red coat dress, because I said if they’re going to hire me they need to know from the time I sit down in the chair and walk in the door that they’re hiring a woman. HARLOW: A big part of WFP’s strategy is women. Why? COUSIN: Because women make the difference in all the communities that we serve. When we’re realistic — even in our households women have big voices. When it comes to what children are fed, women make the difference. HARLOW: Cousin is a woman of incredible influence who has built powerful relationships. Before the World Food Program, she worked in President Bill Clinton’s administration and on the Obama presidential campaign. But it was her days in local politics in Chicago where she learned one of her most valuable lessons. What is the biggest mistake that you’ve made that you’ve learned from professionally? COUSIN: I ran for public office when I was under 30 years of age. We lost so bad. The lesson taught me was don’t just surround yourself with people who are like you. HARLOW: She now leads a staff of 14,000 people and keeps this top of mind. COUSIN: Told solve problems in your own head. When you try to go it alone, you end up by yourself.